If your home or business is amid a flooding scenario from a pipe burst, water heater loss or any other means, the water damage Franklin pros with 911 Restoration Milwaukee will be there immediately, no matter what time of day or night to take care of you. We keep our offices opened 24/7/365 in order to be there for you the moment you discover water damage. Our water damage Franklin technicians are available to respond within 45 minutes of your emergency, because we know how important it is to get water cleaned up right away. If a pipe bursts, your roof leaks or any other urgent water-related issue threatens your home, the Franklin water removal team will perform high quality water damage restoration services in order to mitigate the situation. Our IICRC certified Franklin flood cleanup agents respond to every single call, because our water removal professionals know that time is a huge factor when it comes to preventing your hardwoods and drywall from absorbing any water. If your home is already dealing with a water damage invasion from a pipe burst, ceiling leak, or even a toilet overflow, then contact our water damage Franklin team with 911 Restoration Milwaukee today! 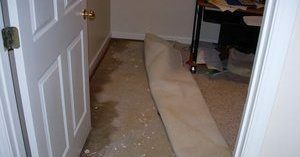 The water damage Franklin professionals have years of experience with restoring homes to even better states than they were before the water damage affected them. All of these water damage sources have the potential to deteriorate your home, depending on the amount of water that is introduced to the area. The longer it is left untreated; the more destruction it can do. If water invades your home and effects the property structure, damages possession and causes mold, then you have a case of water damage on your hands. Don’t let water invade your lovely home alone. Contact our water damage Franklin experts with 911 Restoration Milwaukee and let the professionals provide you with the best services today! Our licensed, bonded and insured Franklin water remediation company has nearly four decades of experience in performing not only water cleanup and restoration services, but with mold and spore removal as well. Don’t just assume your home is mold free after water has been standing indoors. Sometimes even if you don’t see it growing, it can still be there. When we take on a job, we will even help out with all of the insurance paperwork needs too. Let us make your home a safe and healthy place for you and your family. Call our Franklin floodwater removal specialists and let us perform a free visual mold inspection and free home estimate today. We offer affordable pricing plans and are more than happy to work with all major insurance companies. We can’t wait to give you a fresh start, so give our water damage Franklin crew with 911 Restoration Milwaukee a call today!